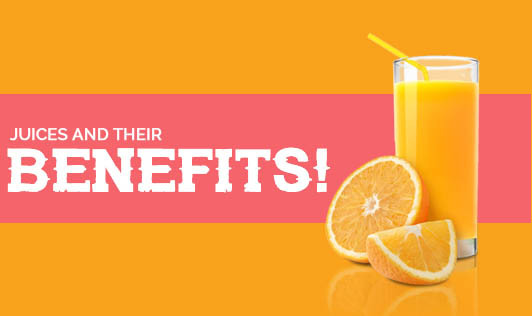 Everyone loves to drink juices; fresh fruit juices are a favorite for most of us and are easily available. Mockatails have been in trend for quite some time now. Not only fruit juices, vegetables juices are also easily available these days. Fruit or vegetable juices are refreshing, rejuvenating and also have tremendous curative powers. Vegetable and fruit juices were found to show miraculous results in many instances especially for kidney and liver ailments. They proved successful in slowing down the aging process and improving and maintaining sexual ability. Fruits detoxify and act as diuretics, while vegetables do the reconstruction job in the body. 1. Carrot and beetroot juice are rich sources of carotene. It is also regarded as a remedy for gall stones, liver diseases, tuberculosis, worms, dysentery and scanty menstruation. 2. Papaya juice is a rich source of vitamin A and C apart from other vitamins, minerals and enzymes. In addition to papain (an enzyme) in papaya, it also contains enzymes like arginine which are useful in increasing the fertility factor in males. 3. If ginger juice is consumed before meals, it is found to eliminate gas. It aims at better digestion. 4. Grape juice is a diuretic and aphrodisiac besides being cool and refreshing. Since grapes contain up to 50 percent of its composition as sugar, it prevents wasting diseases. 5. Tomatoes are widely used in curries and salads. They contain some amount of vitamin B1 and B2 with minerals like calcium, potassium, magnesium, iron and iodine. Five small tomatoes can give you enough vitamin A for the day. Make sure you include these juices on a daily basis and increase your immunity.